Enjoying the convenience of having cool and refreshing water whenever you want has never been easier, thanks to the water dispensers in our fridges which don’t require any plumbing. 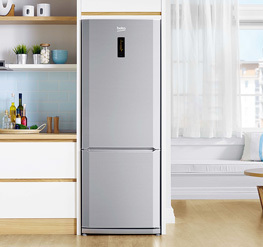 And, the clever design of the slim, easy-to-fill 2-litre tank allows it to sit neatly on the fridge door without taking away from the space you need to store your groceries. You don’t need to worry about keeping your bottom shelf dedicated to hygienically storing your deli foods anymore thanks to the Chiller Compartment in our fridges. This zone will keep the temperature around 0°C, offering a hygienic and perfectly suited environment for your meat, fish and dairy products. 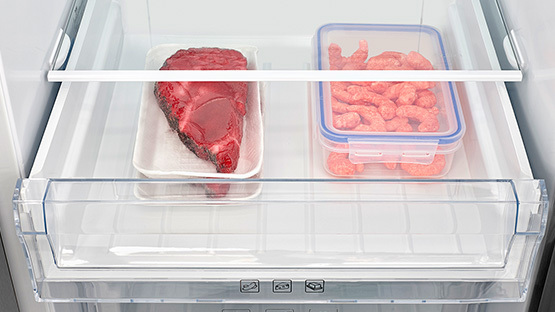 You won’t need to worry about bacteria coming into contact with your food and spoiling it, thanks to the antibacterial door seals on our fridges which are designed to prevent bacteria from forming and entering the fridge. 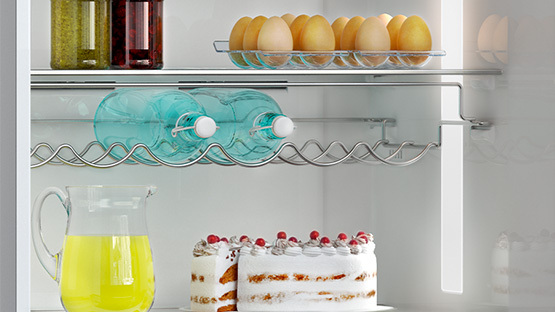 We know you and your family spend a lot of time in the kitchen, so we came up with this guide to help you find the best solution to your storage needs. 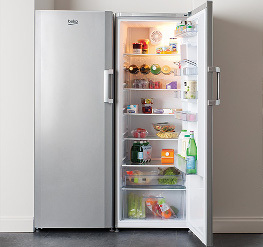 Have you ever wondered whether your refrigeration habits match those of the greater public? 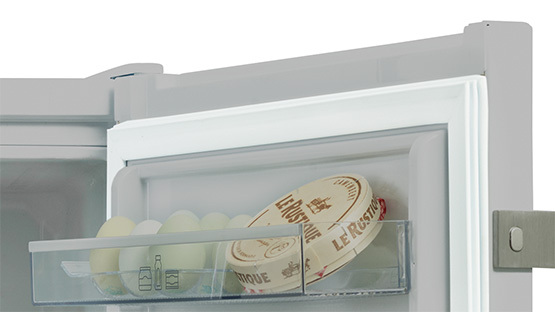 Butter, chocolate, eggs, and mayonnaise - fridge or larder? 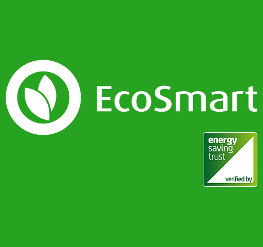 Discover how much you could save on your energy bill with Beko's EcoSmart range of energy efficient appliances. 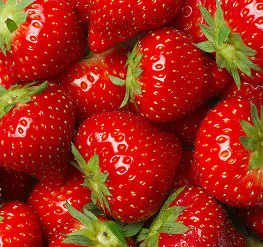 Forget strawberries and cream, these recipes can bring the classic strawberry to life. Savoury or sweet, which will you be making?